Within the next few years, a key ambition is for the word association for the Department for the Environment, Food & Rural Affairs (Defra) to be ‘data’, not ‘badgers’ or ‘floods’, reflecting a growing reputation for data-driven government and taking open data seriously. So what has taken the department down that route? Data has always been central to the services Defra provides, whether that is issuing flood warnings or monitoring wildlife. The 34 organisations that make up the Defra group hold a huge amount of data, from the location of bat-roosting sites, to 70 years of the Family Food Survey. Today, technological advances, coupled with high-powered computer processing capability, create an opportunity for the department’s data to be used in ever more interesting and creative ways. In turn, this has generated the potential to really transform the way we undertake field activities. However, this is not something government can do alone. Making it available to other people for a price could be an option, but the experience of many countries is that the paid-for data market is narrow. It also acts as a drag on the potential for data to act as an engine for economic growth. So, paradoxical as it may seem, the greatest value comes from making data freely available. This means not simply making the data available free of charge, but releasing it under a permissive licence that makes it easier to access, use and share across government, as well as in the private and not-for-profit sectors. With that in mind, in June 2015, Elizabeth Truss, then Secretary of State for Environment, Food & Rural Affairs, announced that Defra would release 8,000 data sets by the end of June 2016. That target was in itself a departure from the norm for Defra. The 8,000 figure was not a bottom-up calculation based on detailed analysis of data holdings. It was an aspirational target designed to galvanise activity across the Defra group and allow others to unlock the potential of the data it held. And it worked. The 10,000 data sets released by June last year – well above the target – have been put to great use by all sorts of users. The landmark release within these data sets was 11 terabytes of Lidar data [see box] in September 2015, and the list of sectors tapping into this resource is truly remarkable. British wine producers are using the data to help them decide where best to plant vines, identifying ‘frost hollows’ or badly drained areas that can affect their crop; architects are using it to build a model of London as they plan the next skyscraper; game developers to build new landscapes for Minecraft; and archaeologists to discover lost networks of Roman roads from Lancashire to Dorset. In October 2016 alone there were almost 21,000 downloads of Lidar data from data.gov.uk. Lidar is a laser-light equivalent of Radar. The Environment Agency has been using it since 1998, bouncing beams of light from planes flying over river catchments, coastal regions, water courses and surrounding land to produce 3D computer maps that help anticipate and plan for flood events, often using very powerful computers. The release of Environment Agency Lidar maps as open data in 2015, for free and with extremely permissive licensing, has meant that organisations in the private, public and not-for-profit sectors have been able to capitalise on the improved processor power and storage capacity of consumer-grade computers to access and process the data. 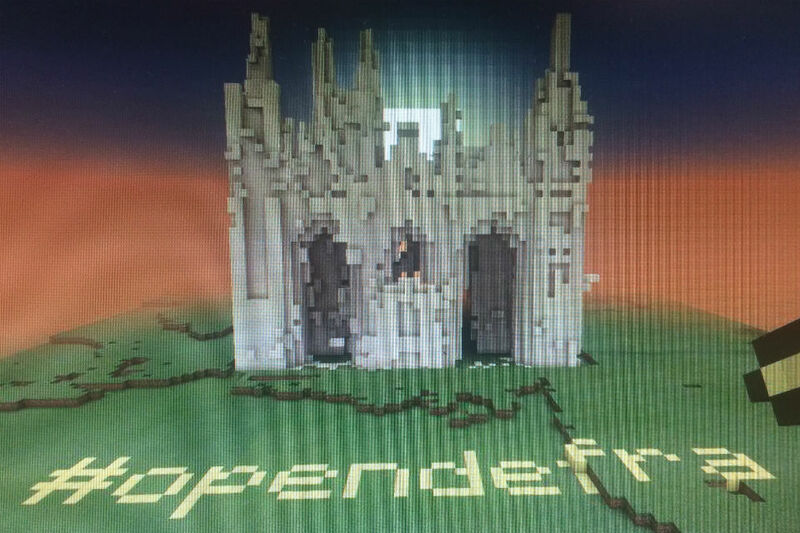 As well as more ‘blocky’ 1-metre- and 2-metre-resolution Lidar, perfect for importing into games like Minecraft on a Raspberry Pi, raw point cloud data made open in 2016 allows city planners and architects to build more realistic 3D environments on more powerful workstations. Variations in the reflected light points yields information about material attributes – whether it is the ground, a plant or water surface, for instance – which can be used to understand landscapes better. Now, academics and innovators are using data to gain actionable insights for use in insurance and facilities industries. Another great example of open data in practice is the GaugeMap API (Application Programming Interface – a way for one computer to use information or services held on another computer, often across the internet). The GaugeMap API, developed by Shoothill, uses live river-level data from the Environment Agency and partner organisations in Wales, Scotland and Ireland. Information is updated every 15 minutes on Shoothill’s website, a service that really came into its own during last winter’s flooding. In a first for the ‘Internet of Things’ – the growing network of internet-connected objects able to collect and exchange data using embedded sensors – each of over 3,000 river-level gauges tweets its level twice a day. The companion FloodAlerts API provides the basis for apps from the Red Cross and even Facebook to keep people informed about flood risk. Despite these open data success stories, Defra recognises that the majority of those accessing its data are professionals. To be truly open, there is still work to be done to build tools that can open up the data sets to those of us without specialist IT skills. Looking to the future, imagine living in a world where data captured by the network of satellites orbiting our planet are used to inform policy development and deliver cutting-edge services. Earth observation – the use of remote sensing data from satellites to gather information about the Earth’s physical, chemical and biological systems – is still in its infancy but promises to be a valuable tool to increase the effectiveness and efficiency of decisions in a multitude of environmental fields including: crop health, forestry, flood management, habitat condition, water quality and coastal management. 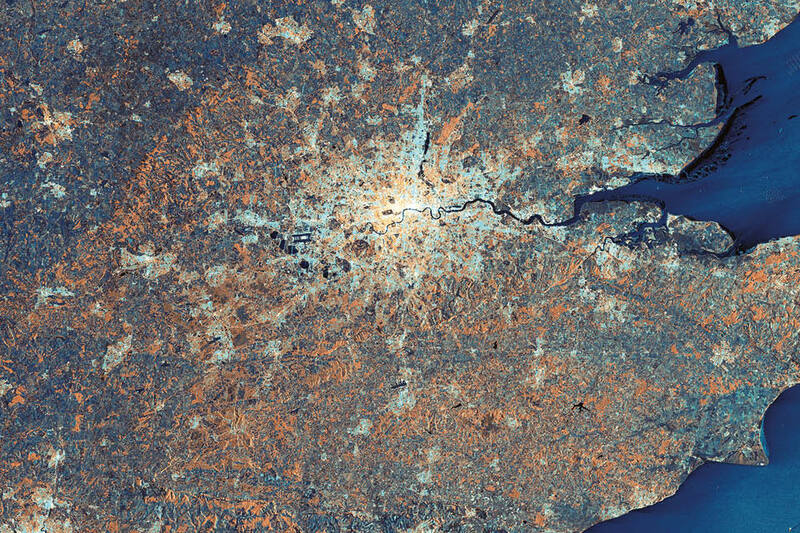 Defra’s vision for Earth observation is “to ensure satellite data are playing to their full potential in policy development and operations across Defra by 2020”. 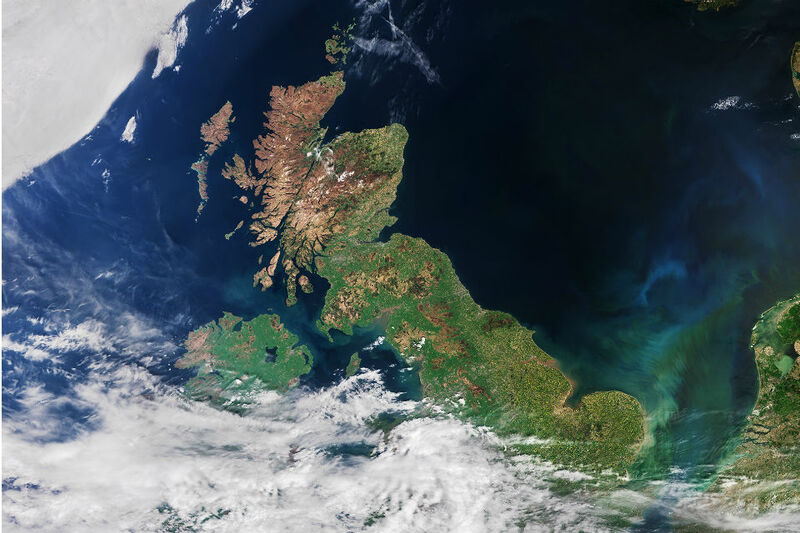 The Earth Observation Centre of Excellence (EOCoE), a collection of Defra group organisations and external partners, including the devolved administrations and the UK Space Agency, has been set up to achieve this. The EOCoE shares data, information and expertise across the Defra group, and the programme has already proved valuable by identifying cost savings in delivery of the Common Agricultural Policy and contributing to updates of the National Forest Inventory. The potential for the EOCoE model of collaborative working to be rolled out across Whitehall is being explored under the UK Government Earth Observation Service and, continuing the open data theme, the Government’s environmental Earth observation data has now hit the world stage, having been made available through the international Earth observation GEOSS portal. While users and customers are the main beneficiaries of Defra’s focus on data, it has been positive for the department and its delivery bodies, too. The target to release 8,000 data sets generated energy and buzz across the Defra group. People didn’t spend lots of time debating the definition of a data set, instead they got on and released what was there, learning lessons as they went. And while data has no monopoly on openness, people involved in data often seem to be leading the way in opening up the working culture. Defra’s extended data community (#defradatafunction) are role models for a more flexible, less hierarchical mode of working. They are hungry for improvement and thrive on trust. Inspired by their enthusiasm the department has embraced ‘un-conferences’, where topics are ‘pitched’ by participants on the day rather than being planned meticulously in advance. Meanwhile the #defraselfie has gone viral, encouraging people to share more of themselves and contributing to a sense of connection across the Defra group. While only the last of these is specifically about data, it has become clear that the approach of putting data at the heart of everything Defra does meets all five of the design principles. Collaborating within and outside the Defra group, communicating straightforwardly, breaking out of silos and creating space for others to innovate is creating the organisation the department wants to be. Ultimately this is about enabling the widest possible group of people to help deliver what matters most – positive outcomes. Open data, open ways of working and open culture will help make that happen. You can read more about Defra’s approach to data at defradigital.blog.gov.uk.